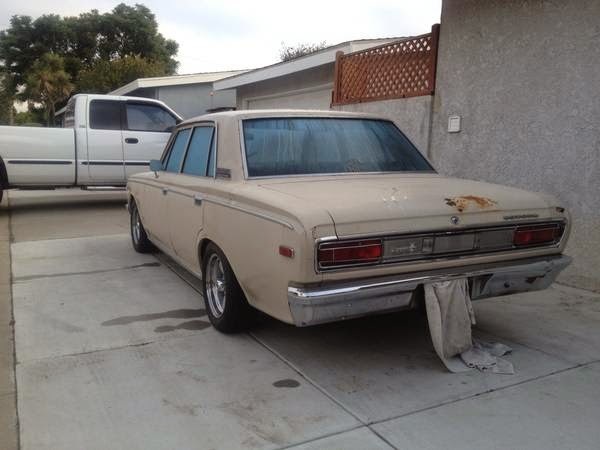 The 3rd generation Toyota Crown (S50) was built from 1967 to 1971 as the premium full sized offering from Toyota. It was powered by R-series inline-4 or M-series inline-6 engines and offers lethargic performance with cool JDM looks. Stuff a more powerful engine under the hood and the performance will match the cool factory...now...what is the most common engine to ever be put into any other vehicle? 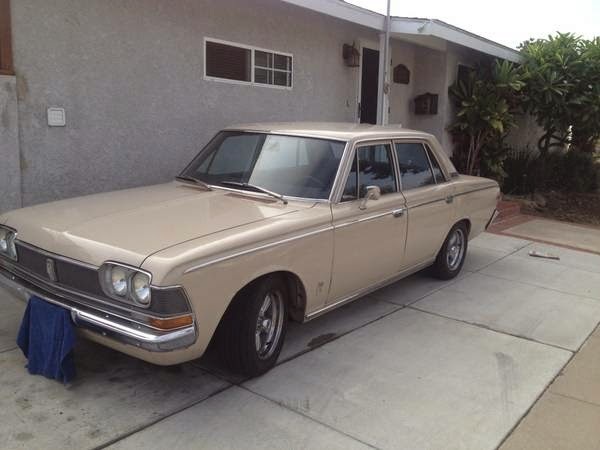 Find this 1969 Toyota Crown with Chevy V8 offered for $8,000 ($7,500 without wheels) here on craigslist. Truth be told, if I didn't already have the Draken taking up my weekends with little projects, I would probably check this thing out -- it has so much potential for fun. The exterior isn't perfect, some rust on the rear, but the ride height is nice the wheels are perfect. 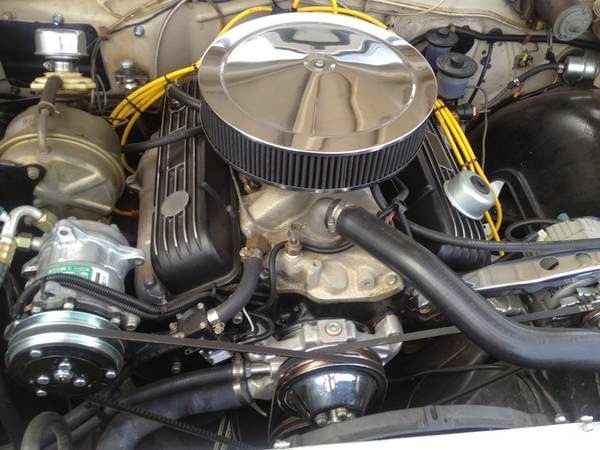 Under the hood is a 350 cubic inch Chevrolet small block V8 mated to a 200R4 automatic transmission. This isn't some kind of "here are the parts, you can finish it" project, it runs/drives and the seller has recently added air conditioning. The interior is described by the seller as "has a few rips here and there but overall pretty clean" and it looks drivable in the pictures, but ugly. Unfortunately the Crown won't be an easy car to find new parts and you will need to spend time on specific forums because you certainly won't find one of these in your local junk yard. why cover the license plate? Given that the car's in the great regulatory empire of California, it's only common sense not to advertise oneself to the authorities if (a) the car's not registered or not currently insured (b) subject to smog laws (effectively 1976 or later, but legally 1966 and later) and modified in such a way that it's not going to pass a visual (c) probably a dozen other reasons to keep one's identifying information out of a public forum that's probably going to be archived forever somewhere. Mind you, the number of Toyota Crowns still in the CA DMV system is probably such that it'd take less time for some functionary to ID the car than it's taking me to type this. How many kilometers per litre would a unit like that get?